By reading this koob, you’ll discover how to get an extra hour out of your day and do what makes you happy. - the FAST method and its benefits. 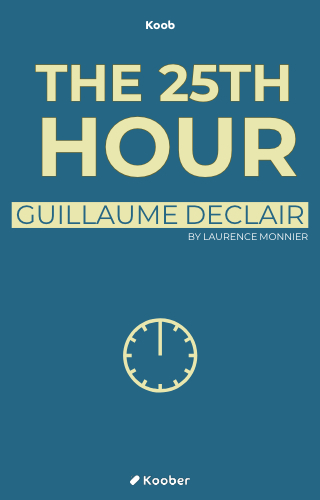 It only took authors Guillaume Declair, Bao Dinh and Jérôme Dumont a weekend to write the first draft of The 25th Hour, which is based on hundreds of ideas collected from 200 startups. Their book proposes numerous tips and techniques to help you optimize your time. Do you think that you’re sufficiently organized, focused and efficient? The 25th Hour will help you become even more so!